Before I became a blogger of my own I read a handful of book blogs. Some of these are old favorites and others are blogs I found after I had been blogging for some time. Hopefully with this list you will discover a new blog you haven't read before. Things Mean A Lot: The first book blog I came across that inspired me to start my own was Nymth's blog. I read her blog regularly for about a year before beginning my own; her reviews are always insightful and incredibly thorough. She also reads a wide variety of genres so there is something for everyone. Dog Ear Disks: For some reason blogger doesn't allow me to add this blog to my blogroll, which is really sad because that's where I keep my list of favorites. Anyhow, Dan is another blogger with fantastic reviews and a wide variety of genres. He has introduced me to a handful of books I wouldn't have picked up on my own and has also starting a "read all of Atwood" project which is pretty awesome. Farm Lane Books: Jackie reads a lot of ARC's and current fiction so when I'm thinking about buying a recently released book, I usually check if she has reviewed it first. She also keeps up with prize winners and closely follows short lists and long lists of the Orange and Booker. Fat Books & Thin Women: Not only is this blog name one of my favorites, but Ellen can review the hell out of a book. She mostly reads literary fiction and always has unique and well articulated insights with each work she reviews. She is also in the peace corps and I like to follow her volunteer adventures at Ellen in Albania. What Red Read: Red's blog has been a longtime favorite of mine. She is one of the first bloggers I connected with after I started to blog myself. Her reviews are honest and often funny in a quirky but intelligent way. Dead End Follies: This is another longtime favorite of mine. Not only does Ben review books, often noir and crime-realted fiction, but he incorporates movie reviews and writes about pop-culture and current events. He has opened me up to genres I may have overlooked if I didn't follow him and he's a fantastic writer himself. Nomad Reader: Like Jackie at Farm Lane, Nomad Reader reads a lot of current fiction and closely follows literature prizes. Her reviews are concise but careful and also published frequently; she reviews a few titles a week. Like Fire: This is a fun and offbeat literary blog that covers all things literary from criticism to recommendations to articles that are particularly relevant for readers and writers alike. 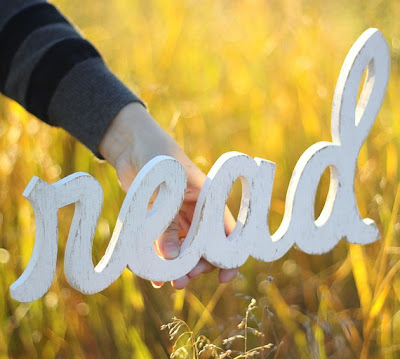 Feel free to share some of you favorite book blogs in the comment section! Thanks for this! I wanted to find more books blogs to read, so thank you! Aw, thank you so much, Brenna! I hope you know you're also a big favourite of mine. Some of the other blogs you listed are new to me, so I'm off to explore them. Thanks, Nymeth :) You really were the first book blog I ever started to follow. For awhile I was a lurker and never commented, but eventually I worked up the courage and I've come far since then. I'm happy I got a chance to introduce you to new-to-you book blogs! Bows, thank you ma'am. I am honored by your readership. Aww thank you! You're a longtime fav blogger of mine as well. and now to check out some of the other blogs you mentioned! Great recommendations here. Several I already read and love and several more to explore. Thanks for including me, Brenna! It's funny because I was going to do something similar to this on my own blog in the next few days... and you were definitely going to be included. aww, shucks! I'm honored you included me on this list, especially because (as i hope you already knew!) your blog is one of my favorites. Looking forward to visiting the blogs here I haven't heard of before. Thanks, Brenna!! You actually introduced me to all of the bloggers you featured above, which quickly became favorites of mine too! It's nice to be able to reach out to people through the blog and on Twitter and other sites because it really makes the whole experience so much more enjoyable and personal. Literary Musings is certainly a favorite in my book! If I ever find myself your way a meet up will definitely be in order! Thank you for this list, Brenna! There are many here I didn't follow, but I do now! Great list and a lot of new ones I've yet to visit. I would definitely list yours on a list like this as we seem to always like the same books. No it definitely doesn't put me off! I get really excited about short lists and long lists. Yay - now I'm introduced to your blog (via Between the Covers), and then all your favorites! Hi Brenna, I found your blog through Between the covers, and I liked it very much... following you now! and thanks so much for this fantastic list of book bloggers. it's relatively new, but I'm working hard on it! I've just been looking around the internets to find some good book blogs, and I came across yours. Looked at your list and saw that you'd reviewed a few I've reviewed as well, with The Hunger Games and The Graveyard Book. I like your taste, and I'm putting you in my google reader now. Hope you don't mind if I follow along! Thanks for the recommendations. I've already checked out all of them and am following! That's great: I've added a few to my Reader and am quite intrigued!